Are you hearing rapping sounds on your house in the morning? Even if you haven’t seen who’s doing it, you probably realize your house has attracted the attention of a woodpecker. Why your house? Most likely the bird is trying to excavate a nesting or roosting site, foraging for insects in the crevices, or drumming to proclaim his territory. Each of these activities has particular importance to the woodpecker’s life cycle, but your house doesn’t have to be involved, so read on for help! 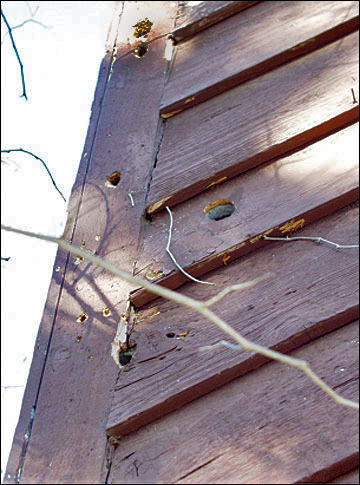 Before repairing woodpecker damage in your siding, be sure no one is occupying the cavities. Knowing which kind of damage you have helps guide which solutions are likely to be most effective. Excavations for nesting take place from April into May, while those for roosting tend to be made from late summer into fall. These holes tend to be about two inches in diameter. With pecking to forage, you’ll see small deep holes in a horizontal row, oval holes about an inch in diameter, or narrow trenches about one to four inches long. Drumming tends to appear as clusters of little holes or shallow cone-shaped depressions. Woodpeckers are not trying to make you crazy. They just need shelter, food, and a “sounding board” so they can make necessary statements to other woodpeckers. So, give them some better options than your house to rap on. Help to meet their need for housing by offering nest boxes. Better yet, leave snags (old, hollowed out trees they normally would use for shelter) in place, if safe to do so. If they’re foraging for insects in your siding, offer suet in feeders. If they are using your house for drumming, try setting up an alternative sounding board nearby with scrap wood. If a nesting or roosting cavity has been excavated in your home’s siding, you need to know if woodpeckers, starlings, house sparrows, or flying squirrels are using the space. Monitor comings and goings by loosely placing paper towels in the hole, which the occupants can push or pull out to come and go. Continue to replace the paper towels, and when they remain undisturbed for several days during decent weather, verify that no creatures are inside and seal up the opening. 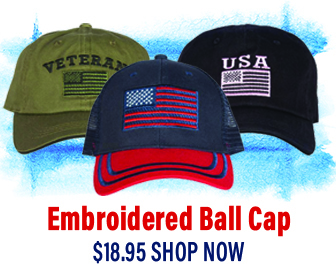 Use materials that match the original ones or cover the opening with metal flashing. 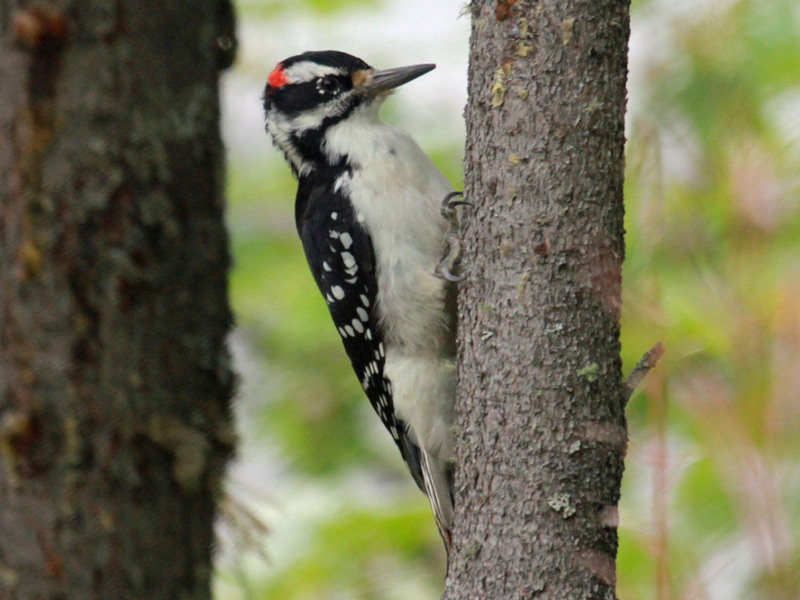 Hairy woodpeckers are widely distributed across U.S. including Alaska, and parts of Canada. Attach Irri-tape®—a holographic foil tape—over the area in strips that hang down loosely so they flutter in the wind. The sounds and shimmers of light disorient birds, causing them to avoid the area. Hang Mylar® balloons, especially ones depicting faces and large eyes, near the area. Hang pie tins on strings so they make noise and flashes of light as they blow in the wind. Hang bird netting, screening, or hardware cloth over the section being pecked to prevent direct access to the wood surface. Cover the pecked area with metal flashing. Recent research has yielded a few helpful tips for homeowners wanting to pre-empt woodpecker interest in their siding before it begins—or as a follow-up to resolving a problem with them. As it turns out, woodpeckers apparently prefer wood siding that has been stained rather than painted—so opt for paint, if possible. Among painted homes, those that are painted with brighter hues that are not typical of tree colors tend to fair the best. When planning new home building projects, developers siting homes in lightly to heavily wooded areas would do prospective buyers a favor by using non-wood siding, and using paint in brighter hues, rather than stain or earth-tone paint colors. Woodpeckers are amazing birds to watch, and they’ll perform a ton of insect removal services for you if you opt to live in harmony with them, so it’s worth making a few adjustments to keep them around! i like how you mentioned that excavations for woodpecker roosting take place in the fall. There are a few spots in the wood siding of my house that have holes, and I’m pretty sure they’re from woodpeckers. I think the damage happened over the fall, so they must be for roosting. I want to get rid of the woodpeckers without harming them, so maybe I could consult a professional and see what the best methods would be for this area.